What it looks like: Shiny and silvery, like coal wrapped in tin foil. Also exists in tiny shiny crystals that look like Monopoly figures. What it does: It's a semi-conductor, which makes it useful in electronics and solar technology. Indeed, germanium was the go-to element for the early years of semi-conductor technology - at least until silicon took over. What it's used for: Loads of stuff, but usually in combination with something else. 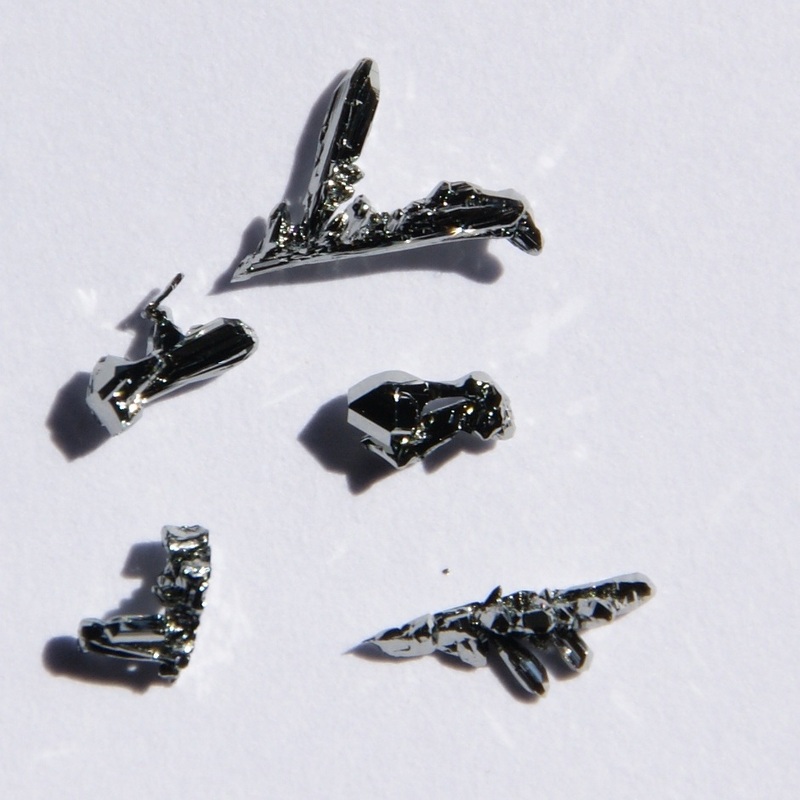 It's in fibre optics and is used in chemotherapy, so if you've used a computer or want to recover from cancer, spare some gratitude for germanium. You might not know, but: Germanium "is created through stellar nucleosynthesis, mostly by the s-process in asymptotic giant branch stars." Nope, me neither. In addition: Its oxide activity is described as "feebly basic". It is not ideal if a girlfriend describes your bedroom technique as reminding her of germanium. 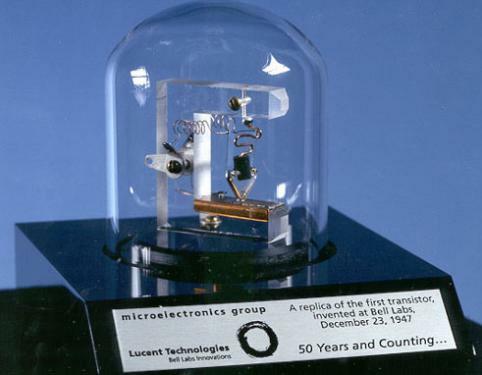 A replica of the first working transistor. 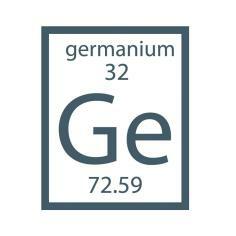 Take a bow, germanium.